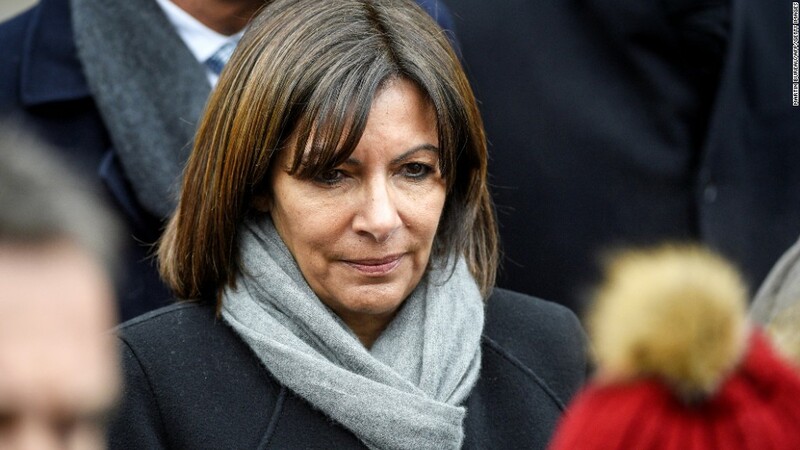 Paris Mayor Anne Hidalgo told CNN Tuesday she intends to sue Fox News in the wake of the channel's coverage of supposed "no-go zones" for non-Muslims. Hidalgo said the channel had "insulted" her city. "When we're insulted, and when we've had an image, then I think we'll have to sue, I think we'll have to go to court, in order to have these words removed," Hidalgo told CNN's Christiane Amanpour. "The image of Paris has been prejudiced, and the honor of Paris has been prejudiced." Outside legal analysts largely dismissed the likelihood that a lawsuit would succeed. A few hours after Hidalgo spoke with Amanpour, a Fox News executive called the warning about a lawsuit "misplaced." "We empathize with the citizens of France as they go through a healing process and return to everyday life," Fox executive vice president Michael Clemente told CNNMoney in a statement. "However, we find the mayor's comments regarding a lawsuit misplaced." Bill O'Reilly, Fox's highest-rated host, called it "ridiculous" on the Tuesday night edition of his program. He pointed out that "the mayor is a socialist" and that "Fox News isn't even seen in France." "So this is just an attention-getter," he said. "Another playing to the left, that's what this is. The suit's going nowhere. It's ridiculous." The warning about a lawsuit came after a series of Fox segments suggested there are parts of Paris and other European cities where Islamic law is practiced and where police are fearful to work. The "no-go" zone segments were widely mocked and challenged as inaccurate, particularly by French media outlets. Some critics have accused the network of using the controversial "no-go zones" idea to perpetuate a fearful narrative about Muslims, particularly in the days since terror attacks in Paris. One Fox show, for example, displayed an inaccurate map of the alleged "no-go zones" in and around Paris. On another show, a guest who was identified as a security expert claimed that Birmingham, England is a "totally Muslim city where non-Muslims don't go in." Among those who ridiculed the Fox News claims was British Prime Minister David Cameron, who said of the Birmingham claim: "When I heard this, frankly, I choked on my porridge and I thought it must be April Fools Day." Fox News anchors issued several apologies on Saturday for the segments. With regards to Paris, "some of the neighborhoods were highlighted incorrectly," host Anna Kooiman said. At another point, Julie Banderas issued a blanket apology to "the people of France and England." Citing the apologies and the embarrassment suffered by Fox, CNN senior legal analyst Jeffrey Toobin said "the system has worked" and "the courts don't need to get involved here." Other media law experts said that in the U.S., where Fox is based, a lawsuit for defamation filed by a city would likely be tossed out right away. It's a precedent that was established nearly 100 years ago, when the city of Chicago sued the Chicago Tribune over a series of critical editorials. The Illinois Supreme Court ruled citizens had nearly free range to criticize their government. So in this case, Paris would be left to pursue a suit in a French court. That's also problematic: Fox News has limited presence there, leaving the justice system with limited leverage over the company. Also, U.S. law gives media outlets special protections against the decisions of foreign courts. A 2010 law called the SPEECH Act "was designed to protect American publishers from defamation lawsuits overseas," said Anthony Fargo, a professor and director of the Center for International Media Law and Policy Studies at Indiana University. He, too, thinks it unlikely a U.S. court would hear the case. CNN, the owner of this web site, was once sued by a small town in Brazil, but CNN won the case on appeal.